This tangy, sweet treat is sure to keep you cool this summer. I don’t know about you but I’m pretty dang excited about summertime coming! Even though we had a light winter, you can’t beat the summer heat and all the fun activities that come along with it. I started my summer bucket list and can’t wait to start crossing things off! One thing that I have to remember during all our summer fun is to keep the boys and I hydrated. Sometimes that can be hard to remember when we’re running around and having a good time. So when we were at Sam’s Club last weekend picking up a few last minute things for our monthly family party I wanted to find a few new drinks that could keep us hydrated; water is best but sometimes you just need more flavor. 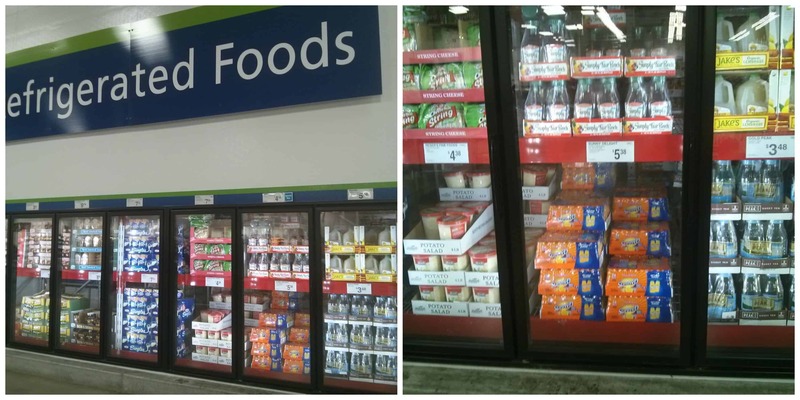 I was surprised to see SunnyD in the refrigerated section. I remember drinking SunnyD as a kid from the big jug and these new 24-pack bottles were the perfect size for my little guys’ hands. Plus they were on Rollback for $5.38; not too shabby for a 24 pack! Of course the boys wanted to try them as soon as we got home and let me just say I’m glad they are on sale until August because we will definitely be going back to get more; they were a hit! After our early morning grocery run we decided to go for a bike ride. One turn lead to another and after a quick stop by the local duck pond we headed home… after two hours. It was so much fun but when we got home we were all super thirsty. I was getting ready to make our usual summer treat, Slushes, but when I reached in the fridge to grab the club soda I saw the SunnyD and decided to switch things up a bit. They were SO good!! I didn’t add any sugar, which I was a little bit worried about, but the SunnyD had the perfect amount of taste to make these cool treats tangy and sweet without being too overpowering. Because they take less than 2 minutes to make, I think these may be our new go-to summer treats! Crush ice in blender and set aside. Blend SunnyD and club soda for 15 seconds. Add crushed ice to mix and blend for 5-10 seconds. 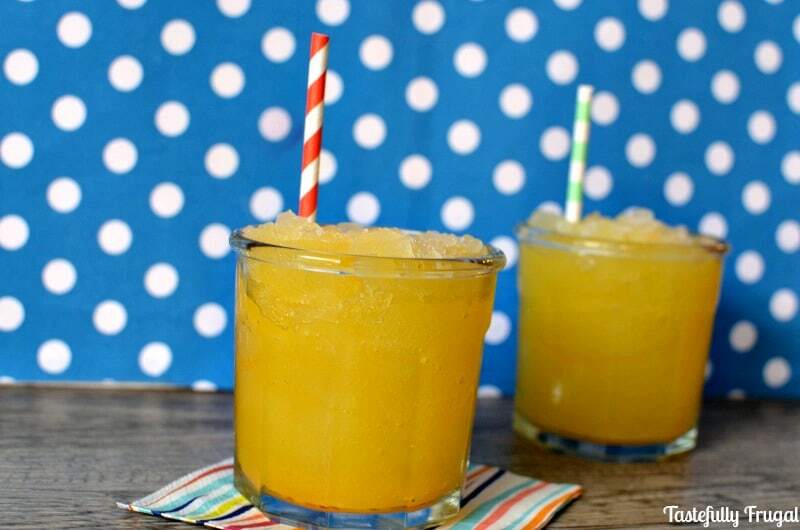 If you want your slush to be thicker, pour in cups and let them rest in the freezer for 5-10 minutes. 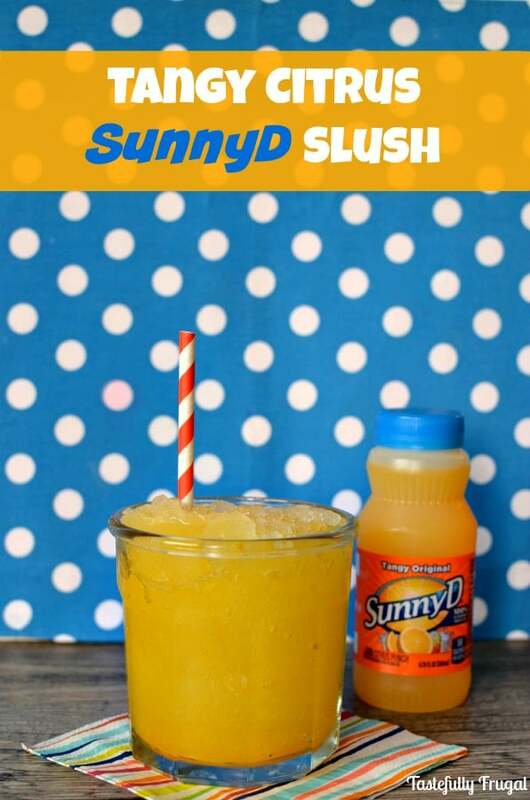 Check out WhereFunBegins.net for more great SunnyD recipes and fun projects to do this summer! What’s on your bucket list this summer? How creative. I never would have thought to do this, but my boys love Sunny D, so I know they would love this. This looks so refreshing, my kids will love it! Fab and refreshing for summer, which is around the corner. Carol Cassara recently posted…How do you see this generational difference? Wow, this looks so good, especially with summer here! I need to make this!! This looks so cool and refreshing! Perfect for those hot summer days! That sounds like a great summer treat on a hot day. 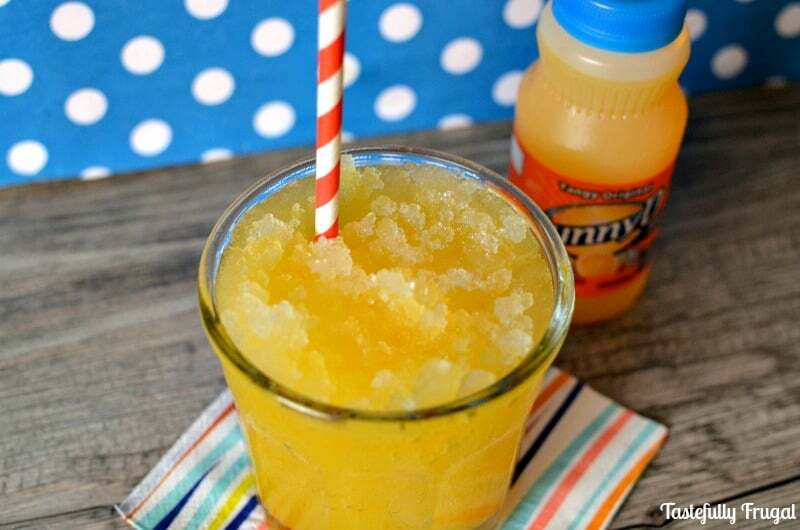 I bet my boys would love the Sunny D Slush. Beth@FrugalFroggie recently posted…Betty Crocker Free Recipes + Exclusive Coupons + Free Samples! This citrus drink looks so yummy and so can’t believe you made this in like a few minutes.. Perfect drink for hot summer months! These look perfect for a summer treat! Such a good idea to make them into slushies!